Each Monday join Adrian Easdown as he has enlightening chats with successful folks in the hospitality industry around Australia. If you’re involved in any way with caravanning, running a restaurant or working with any other sort of hospitality-based business, this podcast is perfect for you. 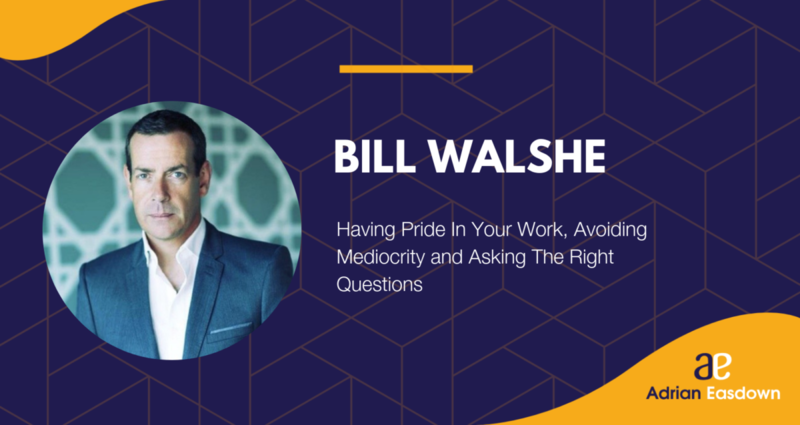 In this landmark 50th episode of That Bad Review, I had the pleasure of speaking with Bill Walshe. Although he doesn’t identify fully with his title, he is the CEO of the Viceroy Hotel Group. His impressive portfolio boasts award winning modern luxury hotels and resorts across the globe, including North America, Mexico, The Caribbean, and The United Arab Emirates. His supportive and proactive attitude to the hospitality industry has seen him implement striking changes. With a hardline focus on leadership, encouragement of creative thinking and emphasis on pride has created a healthy work environment that leaves both customers and staff beaming. Our conversation surrounded this notion of pride, and how important it is within our industry. Although this was essentially the hot topic of our discussion, Bill also introduced some novel ideas that are incredibly valuable.